Mince the mutton / beef well. Chop the onion, ginger,garlic, parsley and coriander leaves, into very tiny pieces and mix it with salt to the minced mutton / beef. 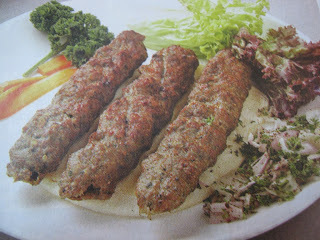 Make a shape of kebab as u see in the photo and grill it or even you can fry it as per needed.